Durham, North Carolina, U.S.A.: Duke Univ Pr, 1997 Cover has edge wear, minor creases, minor scratches, small bent/rubbed cover/page corners, rubbed spine. Owners' names inside front cover. Notes/underlining in text.. Soft cover. Good. Book. Duke University Press Books, 1997-04-30. Paperback. Good. Duke University Press Books. Used - Good. Ships from UK in 48 hours or less (usually same day). Your purchase helps support the African Children's Educational Trust (A-CET). Ex-library, so some stamps and wear, and may have sticker on cover, but in good overall condition. 100% money back guarantee. We are a world class secondhand bookstore based in Hertfordshire, United Kingdom and specialize in high quality textbooks across an enormous variety of subjects. We aim to provide a vast range of textbooks, rare and collectible books at a great price. Through our work with A-CET we have helped give hundreds of young people in Africa the vital chance to get an education. We provide a 100% money back guarantee and are dedicated to providing our customers with the highest standards of service in the bookselling industry. Duke University Press Books, 1997-04-30. Paperback. Used:Good. Paperback. New. 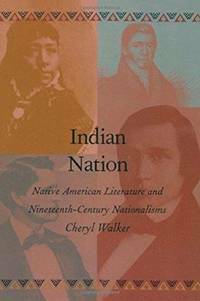 Documents the contributions of Native Americans to the notion of American nationhood and to concepts of American identity at a crucial, defining time in US history. 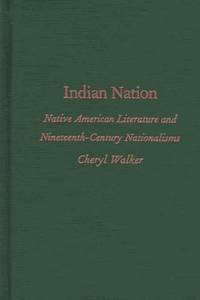 This book examines the rhetoric and writings of nineteenth-century Native Americans, including William Apess, Black Hawk, George Copway, John Rollin Ridge, and Sarah Winnemucca. Duke University Press Books. PAPERBACK. 0822319446 Like New Condition. . Fine. 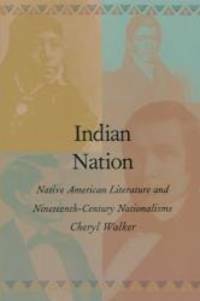 Duke University Press Books. PAPERBACK. 0822319446 New Condition. . New.